A couple of years back, I undertook my first training with British Cycling, gaining a level 2 coaching award that means I’m qualified and insured to run training sessions. There were several reasons why I attended the course and though I’ve since not had as much time as I’d like to focus on coaching (mainly because of a need to earn a living – to date, I’ve only run free training sessions), I felt so rewarded by the feedback I received that I decided to get involved with another British Cycling award this autumn. 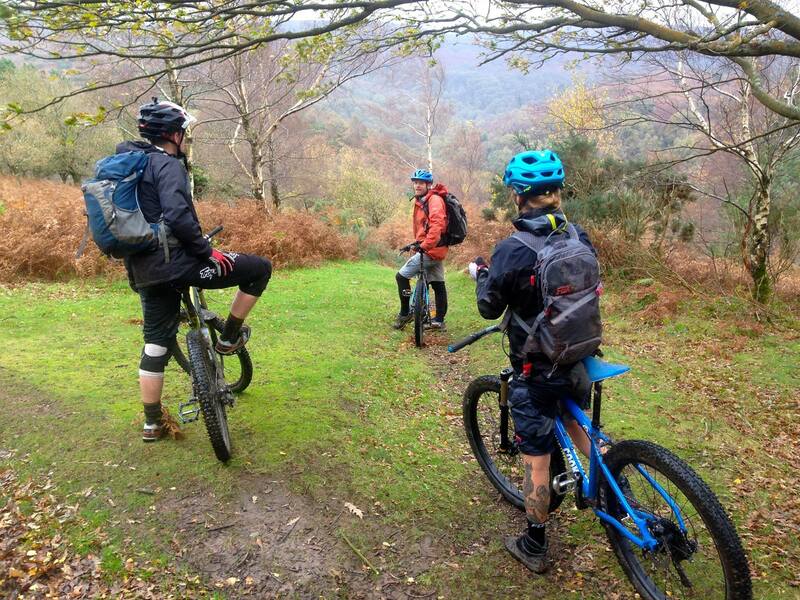 Unlike some comparable outdoor activities (such as kayaking), at present there is more than one company offering mountain bike leader qualifications, which is slightly confusing for those interested in training, as well as for people looking to hire qualified staff. I’ve heard that there may be some efforts to ‘tidy things up’ in the future, though I’m not 100% certain that’s the case, but either way, I felt training with British Cycling was the right path for me as British Cycling aren’t going to disappear soon and it’s a name and brand that I respect. 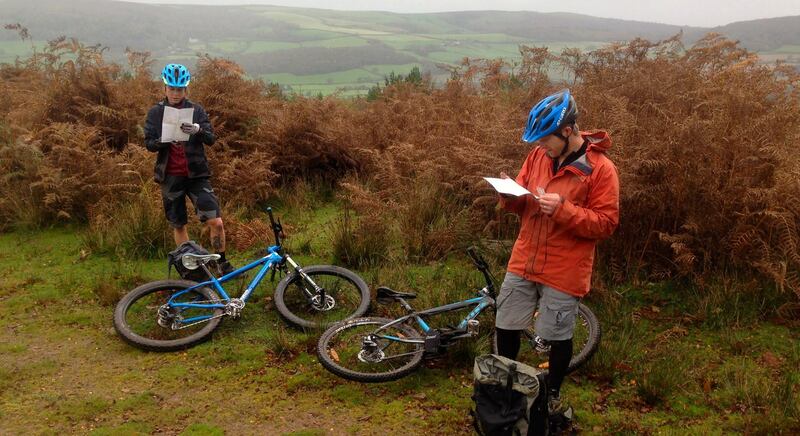 The Level 2 Mountain Bike Leader Award differs slightly from the other coaching qualification I have because it’s designed to give you the required skills to take a group of riders on a safe, enjoyable off-road ride, rather than to teach you the techniques required to develop participant’s riding skills. It covers everything you need to know in order to plan and deliver a great ride experience, as well as trailside repairs, emergency procedures and navigation. The course is offered in several locations around the UK, the nearest to me being delivered by Exmoor Adventure in Porlock, so I headed over to that pretty part of the world for a weekend of fun and learning with Dan French. The first two days of the course are spent in a regular classroom and then in my preferred teaching environment – outdoors. Hopefully, this doesn’t make me sound like too much of a baby, but I was fully prepared for the classroom stuff to be a little on the boring side, firstly because the classroom environment is something I’m not used to, but also because it can be hard trying to teach a group of students with wildly differing knowledge of the subject and I thought we might spend hours going over quite basic stuff. I’ve also experienced teachers who revert back to treating you like a child, and that doesn’t go down well at all with me. In the event, I was wrong to have anticipated anything of the sort. The content of the course was really interesting and useful and Dan’s teaching style was very engaging. 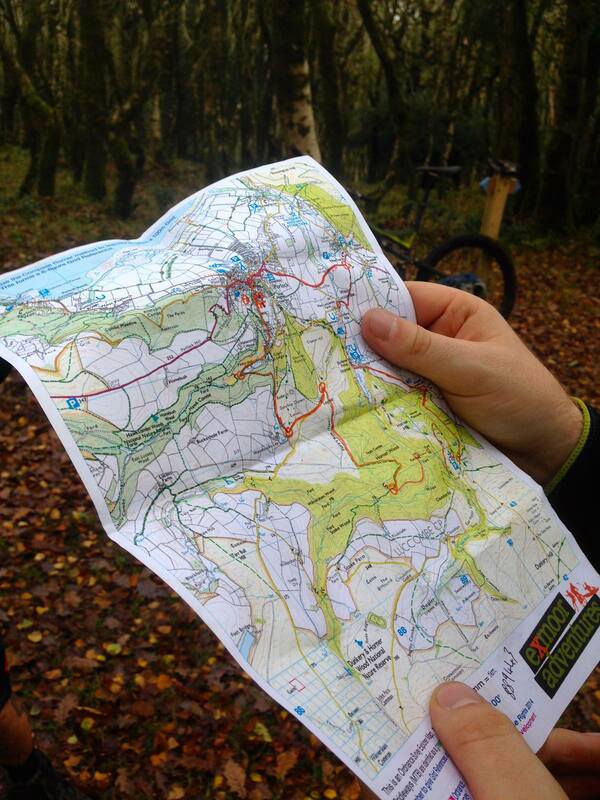 We began at 9am with introductions before moving on to what we could hope to deliver upon completion of the course, what would make a suitable ride, routes and obstacles that might fall outside the remit of a Level 2 leader and how we’d use our skills. The teaching was lively and informal, and we sat in a semi-circle discussing topics and sharing our experiences in leading and coaching, all of the students having previously worked with groups in one capacity or another. We then moved onto the trailside repair module, where we raced against the clock to fix inner tubes (I came last, and fully blame the fact I had a semi-fat 27plus tyre! ), indexed our gears, checked brakes, repaired chains and learnt about the million different mech hangers on the market. I love bike tinkering, so it was pretty fun. The ‘leader equipment’ is all the gubbins that a ride leader is expected to carry in her bag, which is totally bonkers really – not only will I need to get a much larger backpack, I’ll also have to start going to the gym right now in order to be able to carry it once I qualify. You need to take food, drink, tools, spares of absolutely everything, a space blanket, an emergency shelter, clothes, first aid kit and more. It’s going to cost quite a lot of money getting all that together. The route planning part of the course was of particular interest to me, as we were working with paper maps and compasses, something I’ve little experience with having been raised on Googlemaps and an iPhone’s little blue dot – hell, Dave and I even navigated our way around Japan using phones! I’ve always wanted to use a compass and proper map so I asked plenty of questions, knowing we’d be using the compasses up on the wilds of Exmoor the following day. And at 7pm we called it a night and trotted off with our homework – creating a route card with detailed instructions for Sunday’s ride. We gathered bright and early on Sunday morning for our practical outdoor session, where we’d learn more about group management techniques by leading a ride made up of fellow students and Dan, who you had to watch especially closely as he might sneakily hang back to make you think you’d lost someone! I kicked things off by taking everyone through a bike and equipment test, then Chris lead us on the route we’d marked out the day before – straight up a massive hill to wake our legs up. The day continued in the same vein – we’d take it in turns to lead a few miles of the route discussing techniques as we went along. I was really glad to learn in a practical manner that made us think on our feet, rather than having techniques drummed into us in classroom. Every couple of kilometres, Dan would stop us and present us with some sort of challenge, whether that was taking a bearing with the compass or figuring out coordinates, or we’d talk about how we’d handle an emergency based on the location we were in and the escape routes available. To cover hydration and nutrition we ate the lunch we’d brought with us and talked through what riders could consider eating and how to manage water consumption, all pitching in with our own knowledge on the subject. It was a great way to learn and we all enjoyed exploring such a lovely part of the world. After bike washing and a change of clothing we had time for a debrief with Dan, going over what we think we need to work on before our final assessment day. The third day of the course usually takes place at least six weeks after to the first two to give you time to put into practice all the techniques you’ve learned and iron out any kinks where necessary. I’ve decided that my homework is primarily to practice navigating the old school way, with map and compass, so I’ll be getting out on Dartmoor a lot in December and trying my hand at following and exploring routes. 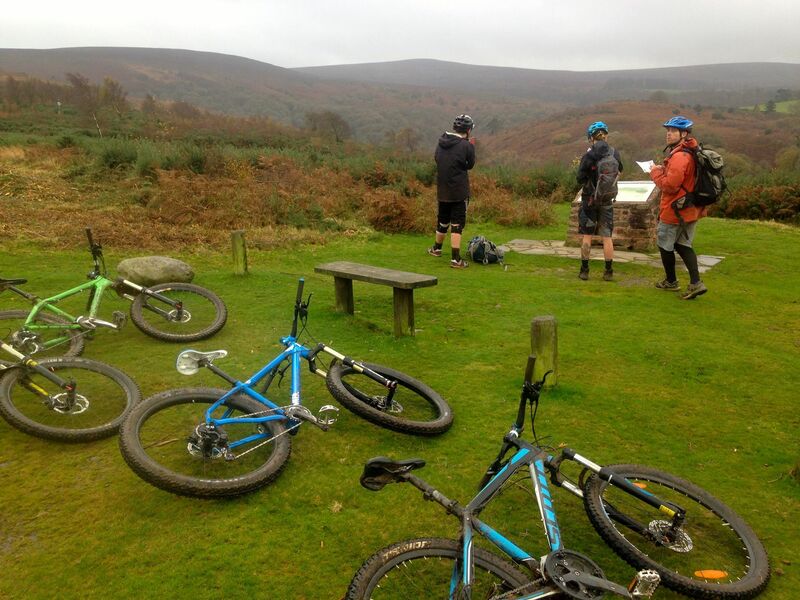 A big thanks to British Cycling and Exmoor Adventure for a great day. Check back in a couple of months for the next installment. All photos by Exmoor Adventure.